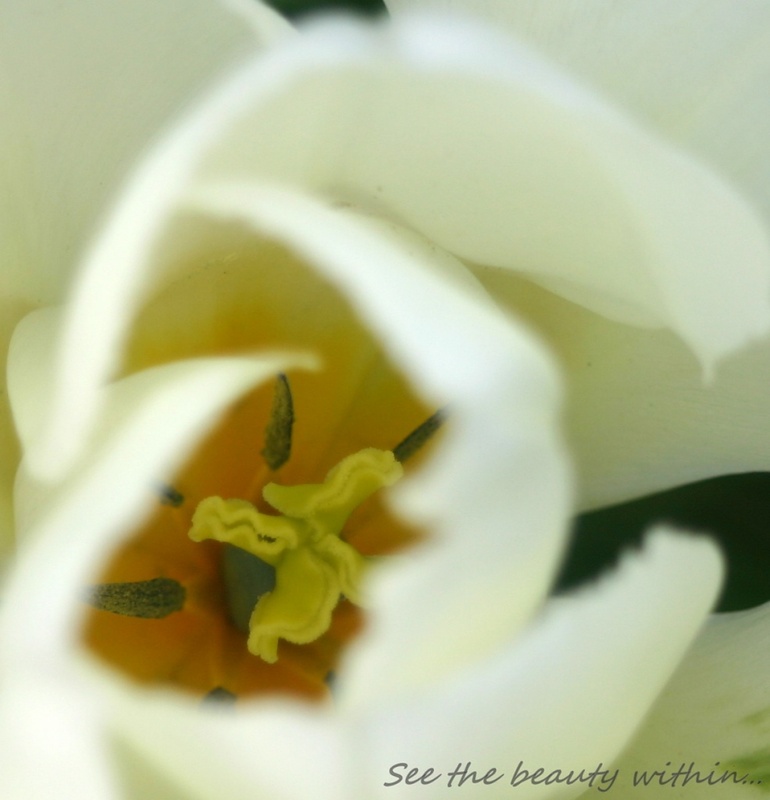 How often do you look at a tulip and see this...? I am fed up of people judging others on the outside, most of the time, you have no idea what is going on in people's lifes. I don't understand why we can't all just be nice to each other, would it be that hard? Would it hurt that much? My philosophy is, if you can't say anything nice, don't say anything at all. And you know what? The BEST beauty comes from within. Great photo and even better sentiment. I can never understand why some people are so nasty to others. Beautiful close up! I also agree, this is a great sentiment to accompany your photo!